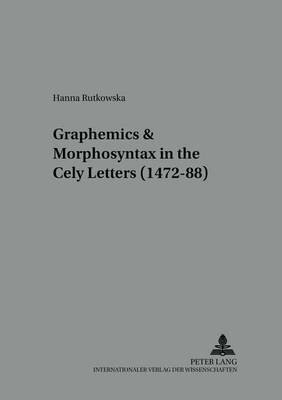 This monograph provides a detailed description of the language of the Cely Letters, the earliest extant collection of commercial correspondence in English (1472-88). The authors of the letters in question are English wool merchants, members of the middle class. The focus of this corpus-based analysis is morphosyntactic, but much attention is also paid to the orthographic systems traceable in the letters. The results of the structural-functional research indicate that although the language of the Celys exhibits several new tendencies, it preserves numerous orthographic, morphological and syntactic features traditionally associated with the Middle English rather than Early Modern English period. The variation among the authors is evident mainly in their orthographic habits and only in a few morphological ones, whereas the syntactic tendencies are shared by all the writers. Because the analysed documents are not highly official, the linguistic usage of their authors can be considered as representative of every day written English in the late fifteenth century.